During my walking tours of #Charleston, our group strolls along the High Battery promenade overlooking Charleston harbor, where I point out Fort Sumter and its role in the Civil War. Most guests are surprised at how little there is to see of the fort from this perspective, as it only looks like a small, flat silhouette above the water 3 miles away. When it was the focus of opposing political and military forces in the 1860’s, it was originally much bigger. The fort was built to have three tiers of cannon firing at a variety of angles to protect the entrance to Charleston Harbor. 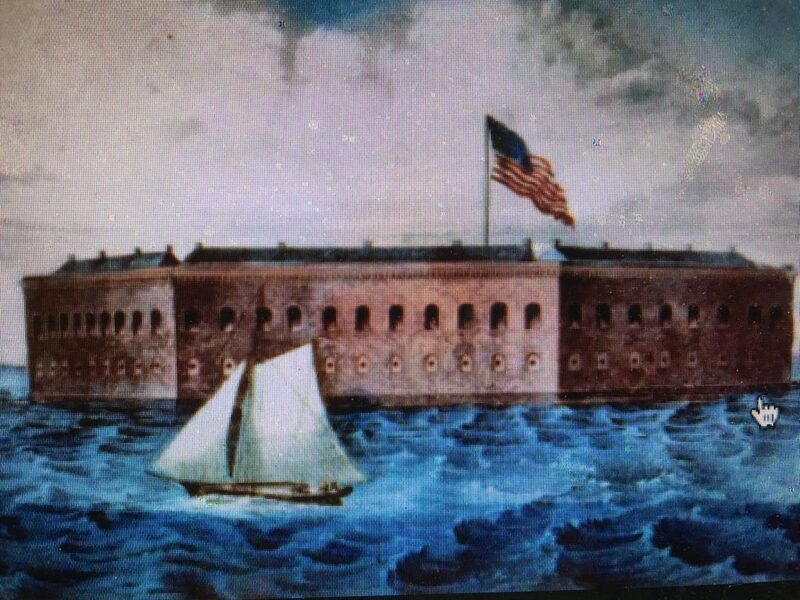 There are numerous old images from the Civil War era like the one below that show the fort as it was intended to look. What changed it was bombardment than began in earnest in 1863 from Federal naval and shore batteries, and the brick and mortar facade crumbled under the onslaught of huge 11 and 15 inch cannon and their heavy shells that weighed as much as 300 pounds. By the end of the Civil War, the Northern troops besieging the city had still never taken Fort Sumter, but they had reduced it to a pile of rubble. Some of the Fort was rebuilt after the war, and some new additions made during the Spanish-American War, but the old fort was never rebuilt to its original height, and is still seems to be a small feature from distance today.